Bridge can help you locate accredited VA mortgage lenders that offer VA mortgage loans in all 50 states. The VA mortgage is a 100% home loan for refinance or purchase. The VA mortgage is a loan product that is unmatched by conventional and FHA loan programs. VA mortgage refinancing requires no equity and the VA loan for home buying requires no down-payment. The Department of Veterans Affairs guarantees VA mortgage loans for all eligible borrowers who are active in the military or are a retired veteran. VA mortgage rates dropped to record levels in 2010. If you have been searching for a VA mortgage lender who understands your financing needs, then look no further. Most veterans are eligible for a VA home loan benefits. Credit scores and income requirements are more flexible VA mortgages than with conventional home loans. In most cases, surviving spouses are typically eligible for refinancing with VA financing. VA refinancing has become very attractive with the VA streamline program. The streamline is a unique VA mortgage that enables VA borrowers to refinance their existing VA loan with no appraisal. Check with your local Veterans Administration for details. Military borrowers should take advantage of the lowest VA mortgage rates in 40 years. The VA Dept. of Affairs continues to guarantee these VA home loans and the low interest rates ensure the affordability for our military who continue to protect our country! Our VA lenders offer no money down mortgage loans to active duty military and military veterans. VA mortgage loans are considered the most aggressive lending guidelines in the mortgage industry. 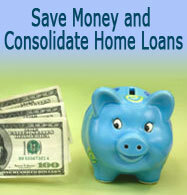 Bridge Mortgages recommends comparing VA mortgage rates for purchase or refinance loans. Veterans should refinance their mortgage if they can benefit from lower monthly payments, reduced interest. Be leery of VA lenders who increase your mortgage balance or stretch the term of your mortgage without offering significant benefits. If you do not qualify for a VA loan, consider using FHA. The Federal Housing Administration offers bad credit first time home buyer loans to qualified applicants in the U.S.